The process of collecting, recording, preserving, utilizing and disposing of the official document in a systematic manner is called record keeping. Records are the history of the organization. 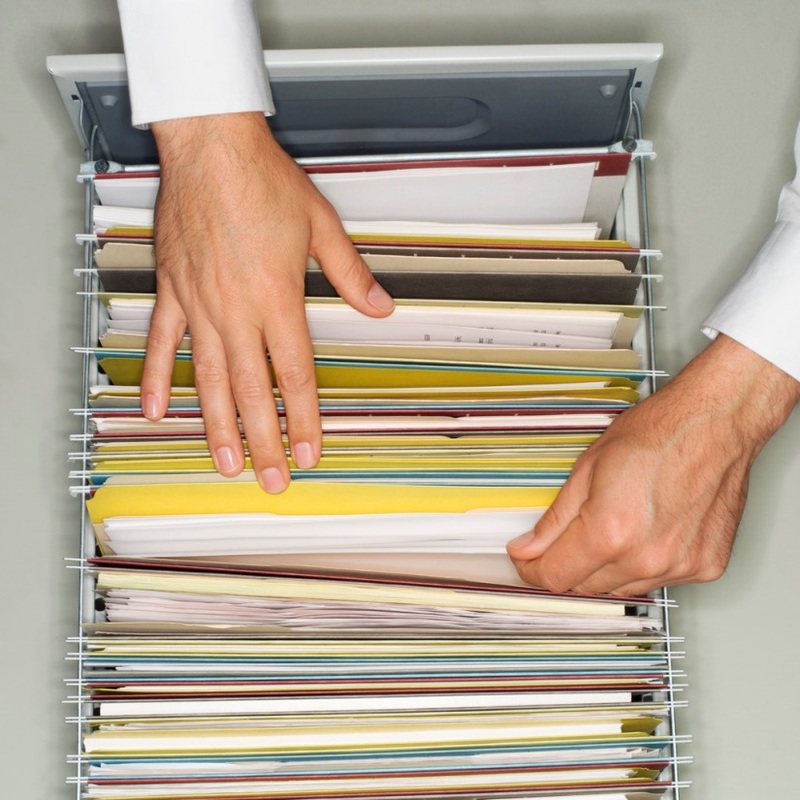 A successful operation of an office and organization mostly depends on its records. Record keeping is the sources of information which are helpful for the smooth and efficient operation of daily activities of the organization. These are the basis for planning and decision-making and useful for controlling the activities of the organization effectively. Records provide evidence of the activities done and help in maintaining a warm relationship with all concerned parties. Record keeping is the basis for evaluating, comparing and reporting the activities of the organization. The records should be preserved until a period for which these are useful and then should be disposed of. Records are the collective forms of written documents. These include bills, vouchers, letters, circulars, files, books of accounts, financial statements, reports, contracts agreement and order written documents. The systematic and scientific process of collecting, classifying, recording, retaining, preserving, using and disposing of the written documents is called record keeping. Record keeping is done for future reference. For collecting documents from different sources and classify them on the basis of their importance. For disposing of off the records when these become useless. For keeping a record of files, books of accounts, computer, disks, and microfilms and preserve them for the future reference in a systematic manner. For providing the evidence of the activities done and to settle the disputes and misunderstanding. For fulfilling the legal formalities by retaining important records for planning, decision making, controlling, evaluating and reporting. For providing reliable information easily and immediately at the time of necessity. For providing the basis for operating clerical and administrative activities efficiently. For providing true and reliable information and data for planning, controlling, evaluating and reporting. For guiding the concerned authority to present her responsibility efficiently. The systematic and scientific process of collecting, classifying, recording, retaining, preserving, using and disposing of the written documents is called record keeping. To collect, classify and record documents, to dispose of records, to provide evidence and to fulfill legal formalities are the objectives of record keeping. On the basis of Record Act, 2027 of government, the records can be classified into permanent records, most important records, important records, most useful records, useful records and less useful records. Permanent records can never be destroyed.Their useful period is not limited. What do you mean by record? Explain the importance of record keeping. Records are the collective forms of written documents. These include bills, vouchers, letters, circulars, files, books of accounts, financial statements, reports, contracts agreement and order written documents. 'The systematic and scientific process of collecting, classifying, recording, retaining, preserving, using and disposing of the written documents is called record keeping'. Record keeping preserved for future reference. According to S.P Arora, "Record keeping is concerned with the creation, distribution, maintenance, retention, preservation, retrieval and disposal of written materials"
According to Z.K Quibble, "Record refers to informational document utilized by an organization to carry out its various functions. " From the above definition, it is clear that record keeping is the basis for evaluating, comparing and reporting the activities of the organization. The records should be preserved until a period for which these are useful and then should be disposed off. For disposing off the records when these become useless. "Records are the evidence of business activities." Explain. Records are the collective form of written documents, which includes bills, vouchers, letters, books of accounts, etc. that are necessary for an organisation. Records work as a future reference to fulfil any kind of legal formalities by retaining important documents for a certain period of time as per the rules and regulations. Moreover, records also provide accurate and reliable data and information for planning, decision making, controlling, evaluating and reporting. Records are also used as the evidence of the activities done and also to settle down the disputes (if any) raised in an organisation. Records are the easiest medium to have the reliable information easily and immediately at the time of necessity. Hence, it can be concluded that records are the evidence of business activities. The process of collecting, recording, preserving, utilizing and disposing official documents in a systematic manner is called ______. The government of Nepal has established a separate office maintain the record of national importance which is known as ______. "Record keeping is concerned with the creation, distribution, maintenance, retention, preservation, retrieval and disposal of written materials." Who gave this definition?
" Record refers to informational document utilized by an organization to carry out its various functions." Who gave this definition? Record keeping is the basis for ______ the activities of the organization. "All efficient record management means an effective office management." Justify the statement. Any Questions on 'Record Keeping '?